Intel Corp made interim Chief Executive Officer Robert Swan's role permanent on Thursday, marking the first time the chipmaker has picked a leader who did not rise through the company ranks, sending Intel shares down and boosting rivals. Swan, 58, who was previously Intel's chief financial officer, served as eBay Inc's CFO for nine years before a stint in private equity and joining Intel in 2016. Intel shares fell 2.6 percent to $46.29 in midday trading and shares of competing chip firms gained. Advanced Micro Devices Inc shares jumped 6.7 percent and Nvidia Corp rose 4.1 percent, helping drive the Philadelphia Semiconductor Index up nearly 8 percent. Intel shares were the biggest loser in the index. Swan will be tasked with getting Intel's manufacturing operations back on track and fending off newer chip rivals that are eating into Intel's dominance in personal computers and data centers. Intel intends to keep manufacturing its flagship CPU chips but remains open to using outsiders to make chips in newer markets like chips for cars or artificial intelligence, Swan told Reuters. "This is a capital-intensive industry, and we always have to evaluate whether it makes sense to have manufacturing for a given technology," Swan said. "In the high-performance computing arena, we just believe we're the best in the world at it." Given Swan's short tenure and lack of experience in manufacturing, many analysts believed he was unlikely to be named permanent CEO. Swan has also publicly said he was not interested in becoming the permanent Intel CEO. But sources familiar with the matter said Swan had privately said he would accept the role if offered. Swan has kept Intel's profit consistent with tight cost controls, analysts said. He helped Intel shares rebound after investors were spooked by a July disclosure that the company would miss the target date for its newest-generation chips, though the stock tracked the tech sector lower in the following months. But questions remain about Intel's ability to get its next generation of 10-nanonmeter chips to market by the end of this year in personal computers and early next year in data centers. In recent decades the chip industry has split between design and manufacturing, with manufacturing firms like Taiwan Semiconductor Manufacturing Co specializing in factories that make chips while firms like Qualcomm Inc specialize in designing chips but outsource manufacturing. 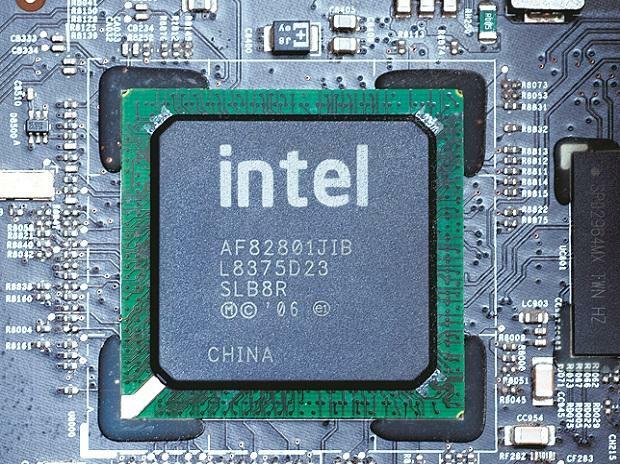 Intel is one of the few remaining companies that both designs and manufactures chips. But it has lost its lead in making the world's smallest chip features to TSMC last year and is facing a growing threat from rivals like AMD and Nvidia that do not make their own chips. Swan will likely continue Intel's strategy of recent years to identify areas where it can expand beyond its core CPU chips, such as artificial intelligence chips, said Stacy Rasgon, an analyst with Bernstein. Others who analysts saw as contenders, such as Murthy Renduchintala, Intel's chief engineering officer and a longtime Qualcomm executive, and Intel's data center chief Navin Shenoy, have been immersed in the details of the chip business for decades. Media reports had also said Intel's board was interested in Johny Srouji, the Apple Inc executive responsible for driving the increasing number of custom chips in Apple's devices. "People wanted a Microsoft kind of announcement, like (Satya) Nadella" said Joel Kulina, a Wedbush trader in Toronto. Nadella led a resurgence at Microsoft that has it vying with Amazon.com Inc and Apple to be the world's largest technology company. "But what do we get? The CFO, because the CEO search produced nothing. ... It's bizarre for a company like Intel to have a leader who does not have a technical background. He's a cost cutter." Swan told Reuters his skills complement Intel's existing technologists, some poached from rivals such as AMD in recent years. "This company is extremely rich in technical talent, both on the design and architecture side and the process and manufacturing side," Swan said. "My role, and my challenge, is how do we unleash that technical talent going forward to continue to do special things?" Swan had been in temporary charge of the chipmaker since last June when Brian Krzanich left after an investigation found he had a consensual relationship with an employee in breach of company policy. Swan will be the seventh CEO in Intel's 50-year history. Intel said Todd Underwood, vice president of finance, would become interim chief financial officer as the company undertakes an internal and external search for a permanent CFO.